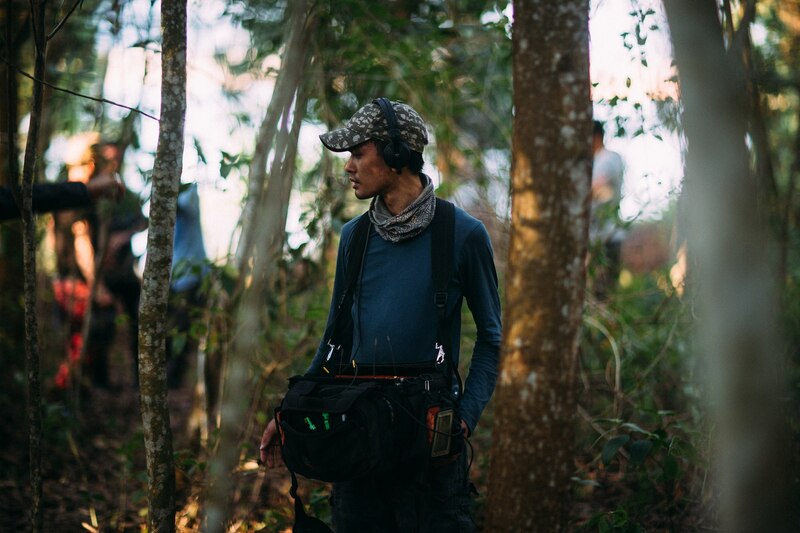 We make no bones about this: we’ve been wanting to interview Adrian Yew for a while now, but if time and place waits for no man, they certainly do not stop and align for film websites. Nevertheless, we are finally here. Adrian is an audio engineer by interest and trade, and we sit down face to face (so to speak) to discuss all things audio-related. It’s an ear-opener, to say the least, so enjoy! Mr Adrian Yew! Finally, we have the chance to sit down and do this. How are you doing? Hello there! It’s been awhile since we last met. I’m doing alright. I had a memorable 2014 and I’m hoping for a better year to come. Right, let’s start right at the beginning; I know you, but the readers don’t. Who is Adrian Yew and what does he do? In short, I am an audio professional working in the Malaysian film industry, with a strong passion for sound and everything related to it. One might even call it an addiction. I specialise in sound design and location sound recording, working mostly on documentaries, reality shows, commercials, corporate videos, short films and the occasional feature film when they come along. For sound design, I work mainly from the confines of my home where I have my personalised audio workstation set up in my room, running my Pro Tools system. It’s small but cozy. What got you interested in sound to begin with? I think the interest was probably derived from my passion for music at first, which was my initial introduction to the art of sound. I had been playing guitar since I was 14 years old. Later on at 19, I started dabbling with synthesisers and audio editing softwares. Up till that point, any thought of sound design or film had not even crossed my mind. I enjoyed watching movies, but that was about it. It all changed however when I attended SAE Institute Singapore to study Audio Engineering in 2009. It was then that I came to realise and appreciate the intricacies and complexities of sound in film. Its ability to evoke emotion, reflect mood and underscore actions within the context of a film really drew me in. In a way it also complements what I like to do with music, to use sonic elements to tell a story. Sound can be used in such a profound way that goes beyond what you see or hear. It can affect the way you feel about a particular character, scene, and even the overall film as a whole. Were there any particular film or filmmaker that caught your attention in that regard? I remember in my college days, Kevin Teoh, my sound design lecturer at that time, gave us an assignment to study three particular movies, ‘Let The Right One In’, ‘Eternal Sunshine of the Spotless Mind’ and last but not least, to my horror, the Thai thriller ‘Shutter’. These three movies were the first to really open my eyes and ears to a whole new level of experience in film. Speaking of education, how did you come across the SAE Institute? I came across SAE Institute Singapore when I was looking for a place to study sound engineering for music at first, but later discovered that audio production encompasses an even wider range of studies such as digital audio, acoustics, live sound and sound design, as well as the business aspects of the industry. How useful was all that to what you’re doing now? I would say extremely useful. Though I still have a long way to go, I would not have accomplished half of what I have without my years at SAE, I owe a lot of it to my education, my lecturers and my family. What was your first job in the industry, and how did you get it? My first full-time job was for a company called I-Yuno Media Group. A Korean company based here in KL, they specialise in localisation (dubbing & subtitling) services for broadcast clients like Fox, Disney, Sony and National Geographic. A friend of mine saw the job posting on an online forum and gave me the heads up. I had just graduated and was still in Singapore at that time. I arranged for an interview and came up to KL the next day. I got the job because they were impressed that I had experience freelancing in Singapore while studying, and had also interned at a music recording studio. The little things often go a long way and act as a stepping stone for bigger opportunities to come, especially when getting your first job. I would like to recommend anyone who is just starting out, students and film enthusiasts alike, to get out there and get one foot through the door as early as possible. You mention localisation for a number of television programmes. Which programmes did you do that we might have heard of? ‘NCIS’, ‘Criminal Minds’, ‘MegaMind’, ‘How To Train Your Dragon’ and ‘Shrek 4ever After’, to name a few, along with a handful of Korean dramas. Can you explain to us a little bit about a part of the localisation process? From a technical standpoint, think of it as additional dialogue replacement (ADR) but for different languages and voice acted by different people. In short, dubbed programs are meant to cater to local viewers who wish to catch their favorite foreign TV shows in their local language. For example, we get the original content from Fox Asia, like ‘NCIS’, and dub it into different languages based on our client’s requirements; for programmes on Astro, it was Bahasa Malaysia. The process involves the collective effort of several different teams with various skill-sets. There are the translators, script editors, voice actors & audio technicians all working hand-in-hand to make it happen. We receive the translated scripts from the editing team and proceed to cast the right voice talents to voice the roles of each character from an episode. Again, using ‘NCIS’ as an example, we would have to find a suitable local voice to match that of Gibbs, Ziva, Tony, McGee and so on. An episode can take a day to fully dub and might involve 6 -10 different voice actors all scheduled to come in one by one and act out their scripts. One voice actor may voice several characters in a show, sometimes up to five or six. As for the recording setup itself, we have the talents placed in a vocal booth adjacent to our studio room with a microphone, headphones and a screen. We then play back the original episode at each dialogue point and the talents voice acts the scene based on their scripts. We then mute the original English dialogue and sync up the new Malay ones to the lip movement of the characters on screen to make it seem like they are speaking Malay. This can be a lengthy process as there are a lot of dialogues and characters to dub in a single episode but thankfully we had a very efficient system and a highly skilled team working around the clock. The biggest challenge was actually the workload. Back then we were recording up to 6 episodes a day, all of which would show up at my station the next day. My job would then be to mix these 4 to 6 episodes and have them all broadcast standard ready at the end of the day to be sent to their respective stations. You can imagine the burn-out I went through after working on 600–800 episodes in my first year! 800 episodes! Goodness. Well, at least there is some respite to be found in your film work, as you also did a lot of sound recording and sound design for a lot of short films and feature films. Most of them tend to be independent films. Why is that? When it comes to narratives, I tend to favor the independent projects. This might just be down to opportunity, but I do feel that with independent projects like short films, most filmmakers tend to be more experimental and bolder with their story-telling elements. This gives me greater creative freedom to be expressive with my approach and explore new possibilities to sound design. Independent films are great platforms for filmmakers to really showcase their talents, ideas and to leave their mark in the industry, which at the end of the day is what we are all here to do. 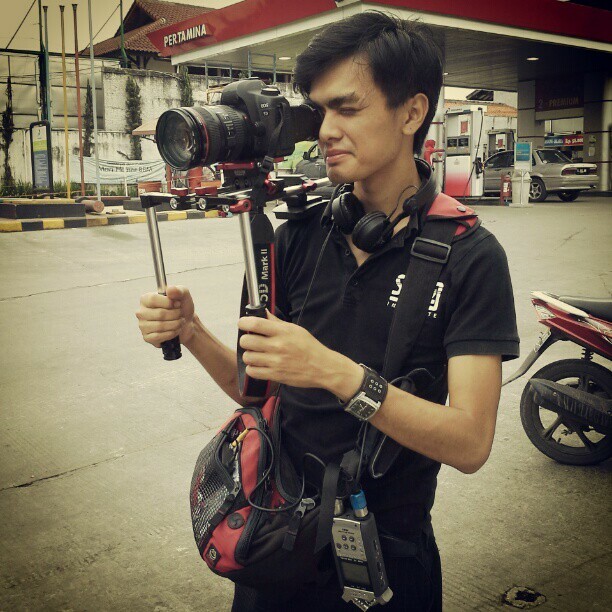 In being a sound recordist, what kind of power do you have? In some countries, sound recordists can even say “Cut!” due to a disturbance in the sound, while in other contexts, they’re only expected to say “Speed!” and little else. It comes down to the crew you are working with at the end of the day and how much of a priority and importance they regard sound to be. I’ve worked with productions that gave me full power to call “Cut!” and re-take whenever I deemed the sound unusable. I have also come across productions with little to no regard for live sound whatsoever, often obsessed with only what the camera sees and are the principal offenders of the dreaded “We’ll fix it in post!” speech. It’s still a problem because often times sound teams are forced to adapt to unnecessarily difficult working conditions while still expected to produce top quality results. This issue I feel stems from sound not being a visual thing, many people only use their eyes on set and not their ears. You often see the lighting department, art department, the grip team, all busting a gut to ensure the camera team is happy and getting their perfect shot but no one really cares whether the sound team is getting the right sound. It’s a weird juxtaposition when you consider someone like David Lynch, who said, “Films are 50% visuals and 50% sound. Sometimes sound even overplays the visual”. Productions need to learn to be more accommodating to the sound team, we are at the end of the day, striving to achieve the same thing, which is to make the movie great. 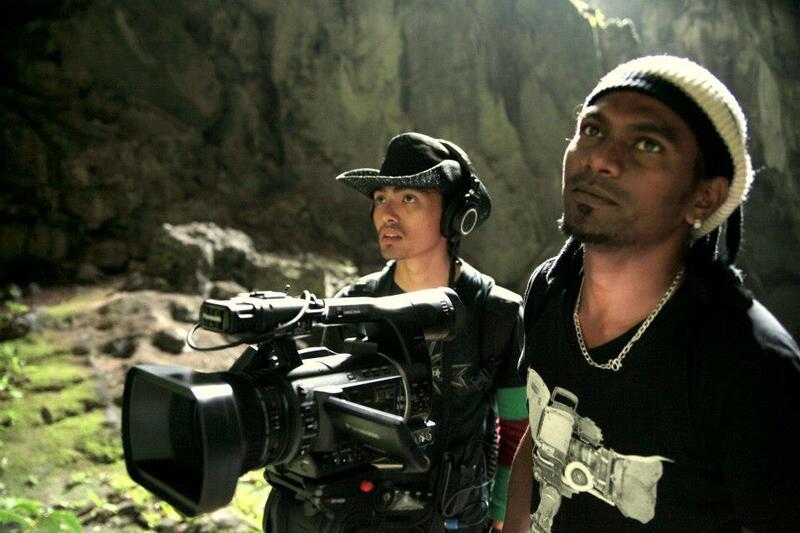 What was the most challenging moment you had in location sound recording? Honestly, when it comes to sound recording on location, everyday is a challenge. It’s primarily down to noise disturbances beyond your control, like heavy traffic, rain, wireless interference, loud generators, trains and angry mobs, amongst others. It’s a nightmare out there! This is only the halfway point, people! Read the whole interview in CQ Magazine, which you can download from here. Adrian is also the guitarist for Forever in Atlas.